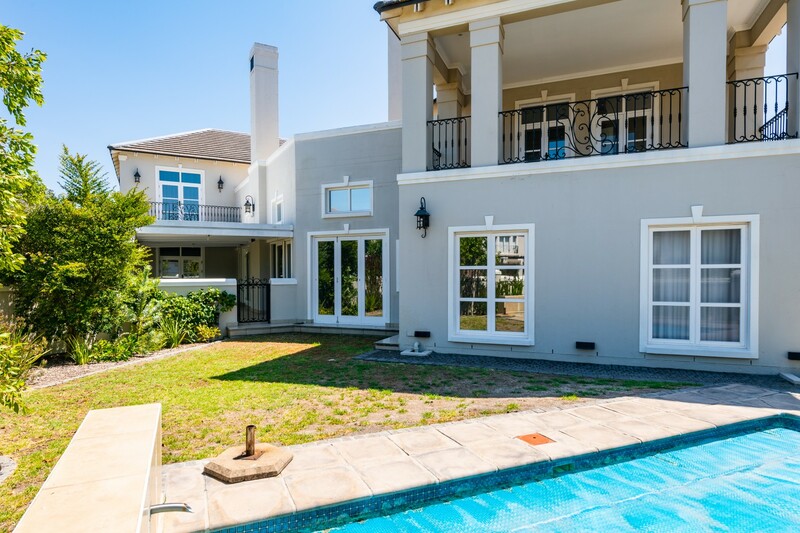 This voluminous home offers extensive accommodation consisting of six bedrooms and five bathrooms. 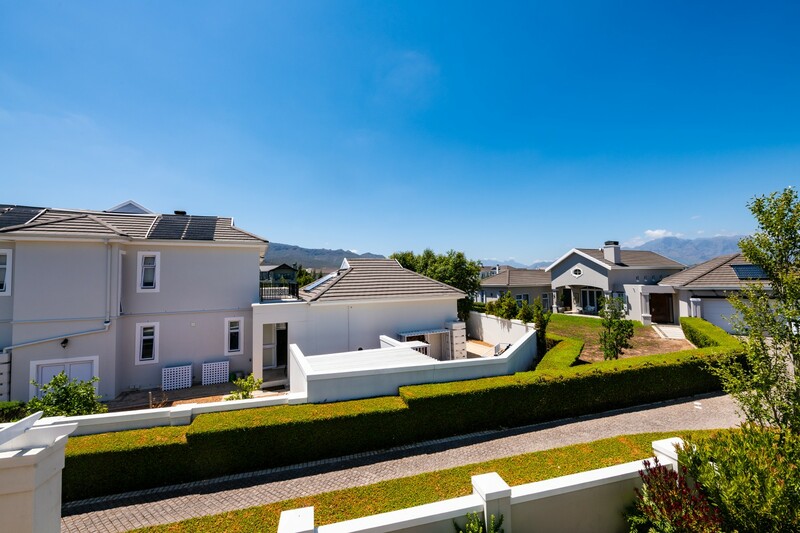 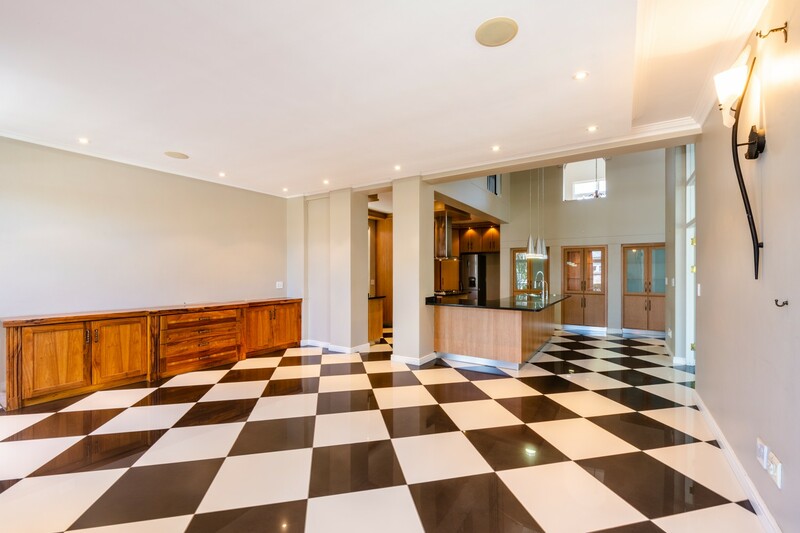 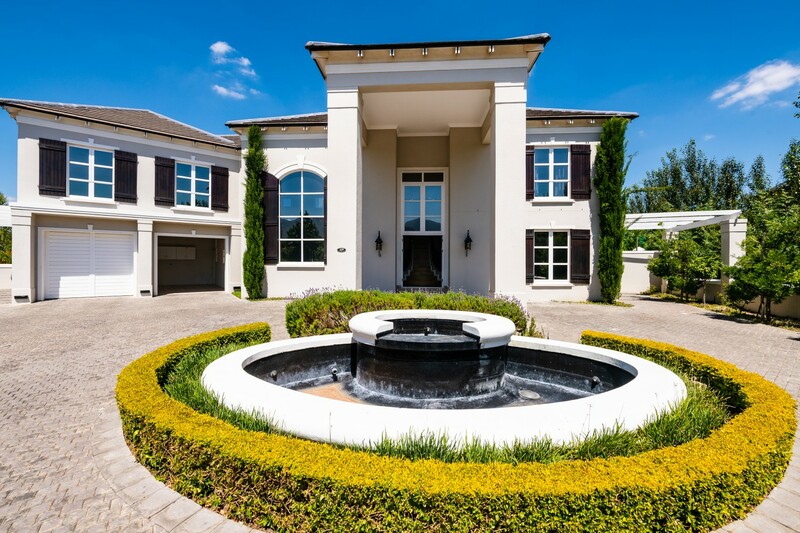 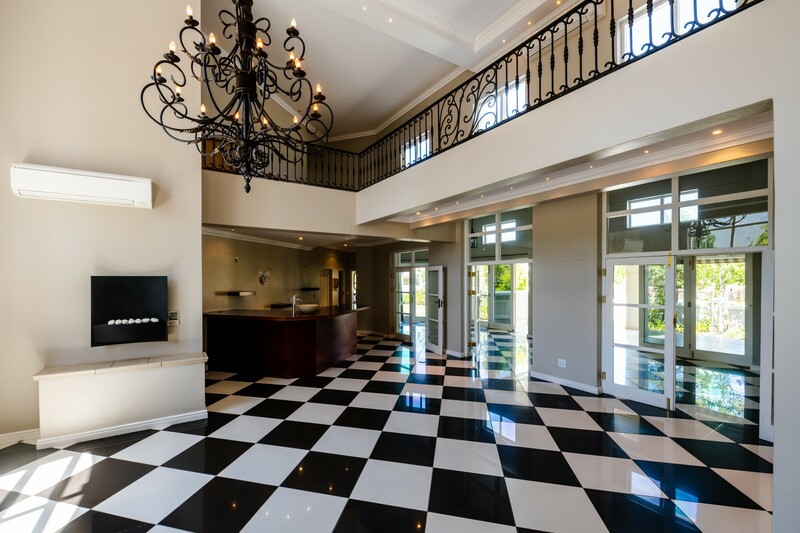 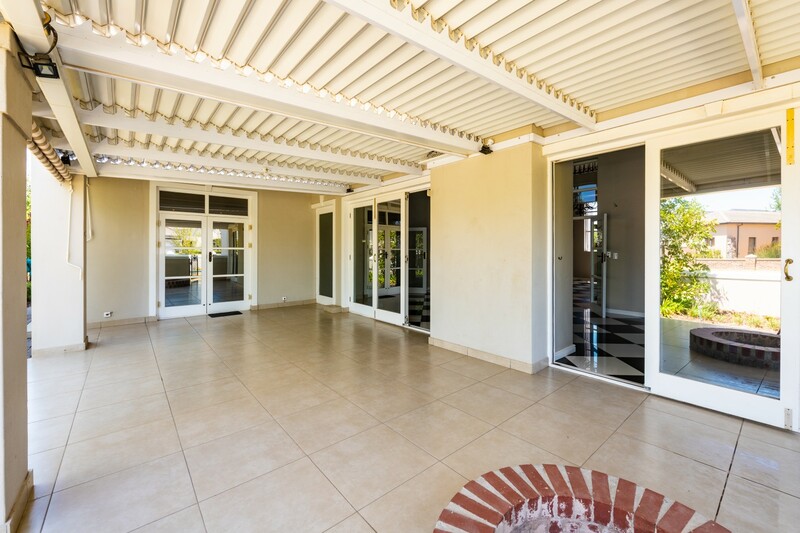 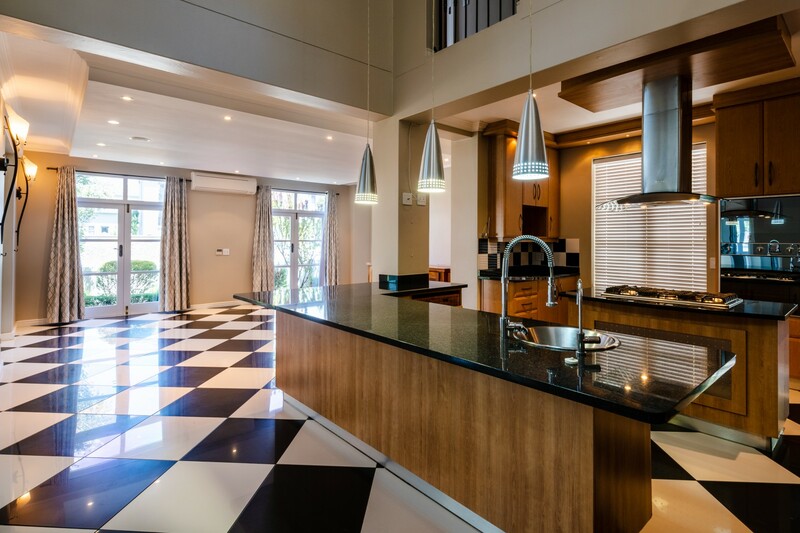 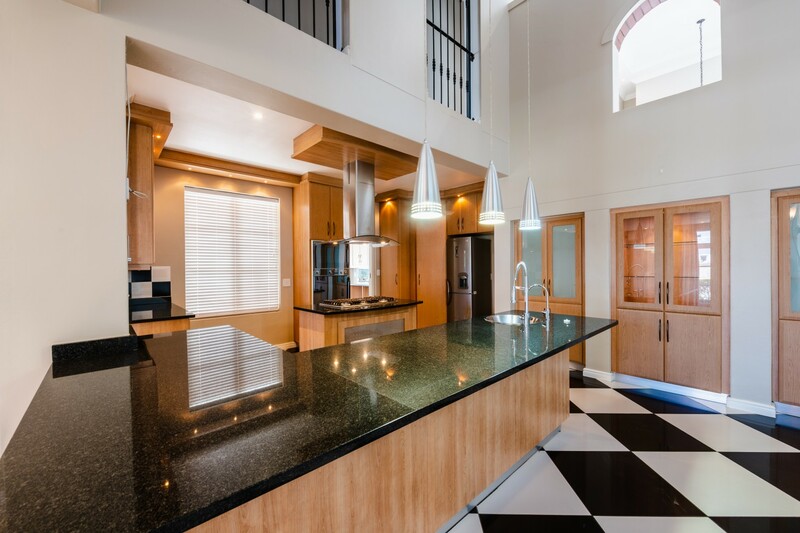 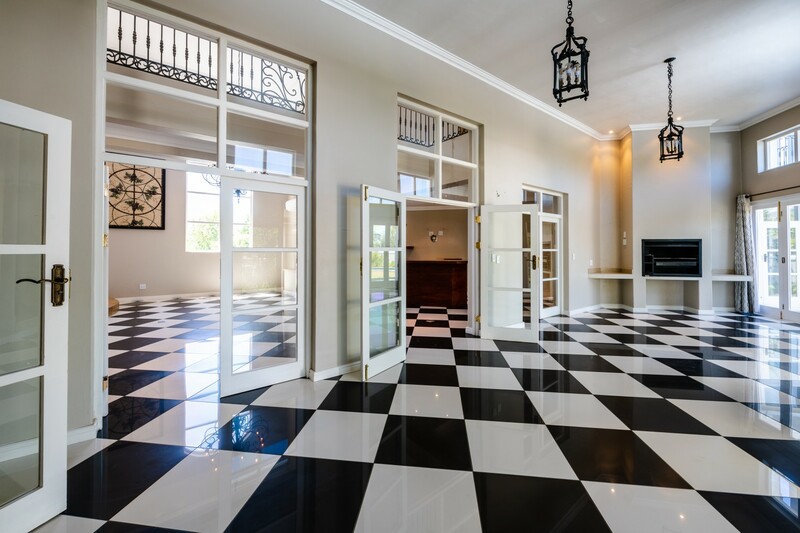 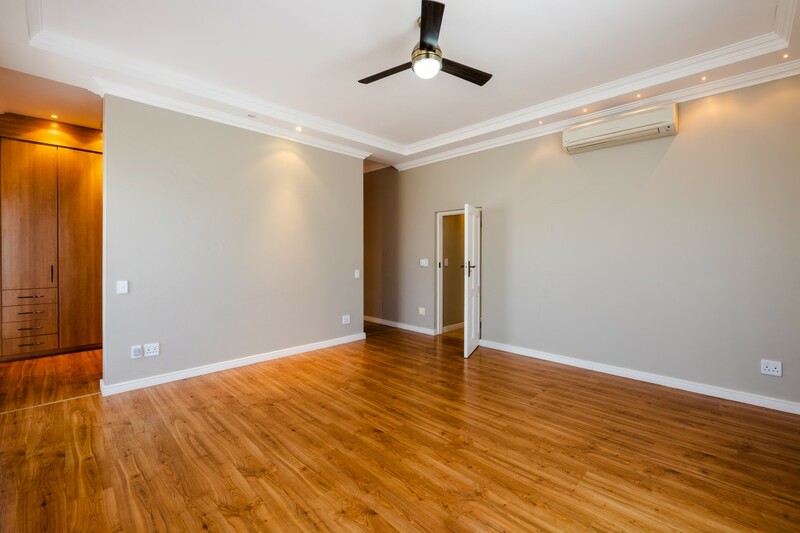 In addition, there are three reception areas, two separate dining rooms which lead out to a lovely large patio with aluminum louvre awnings and built-in braai and well equipped for entertaining. 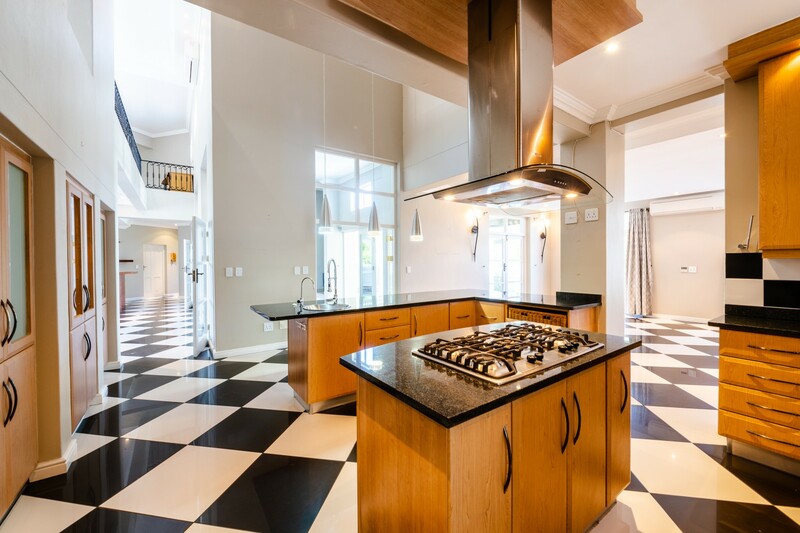 The enormous kitchen offers surplus of cupboards and worktop areas for all your cooking appliances. 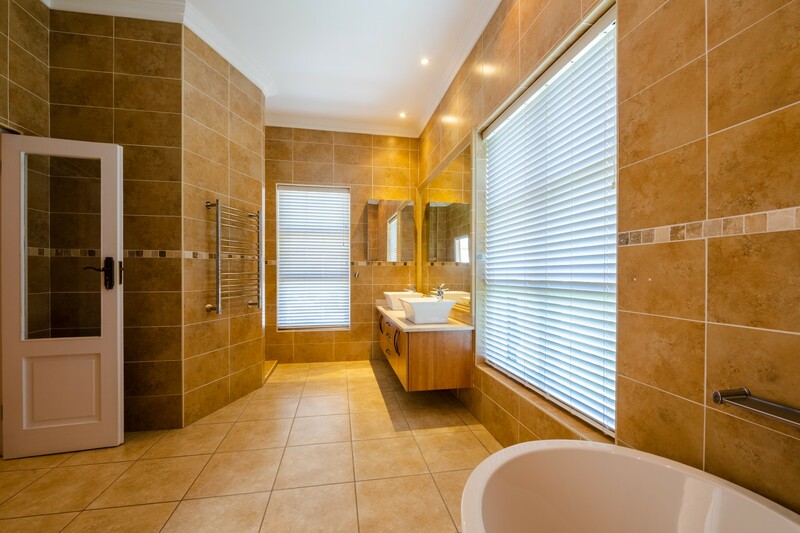 On the ground level, there are three bedrooms, all with en-suite bathrooms. 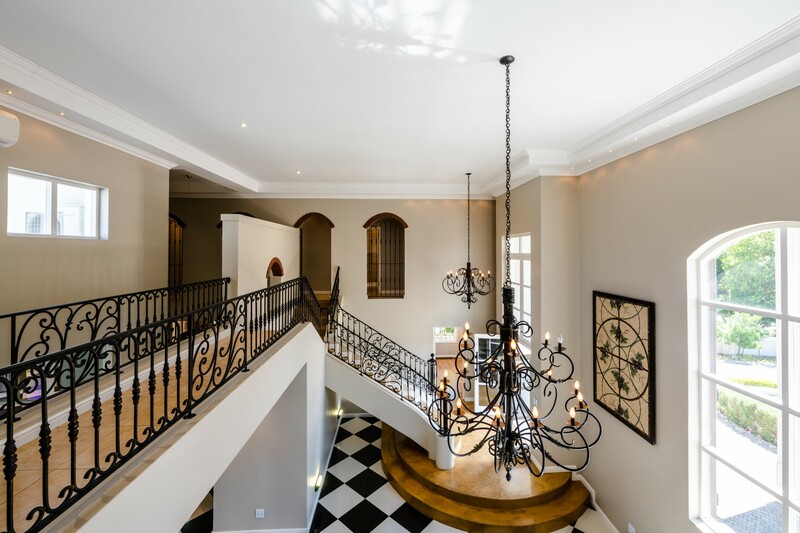 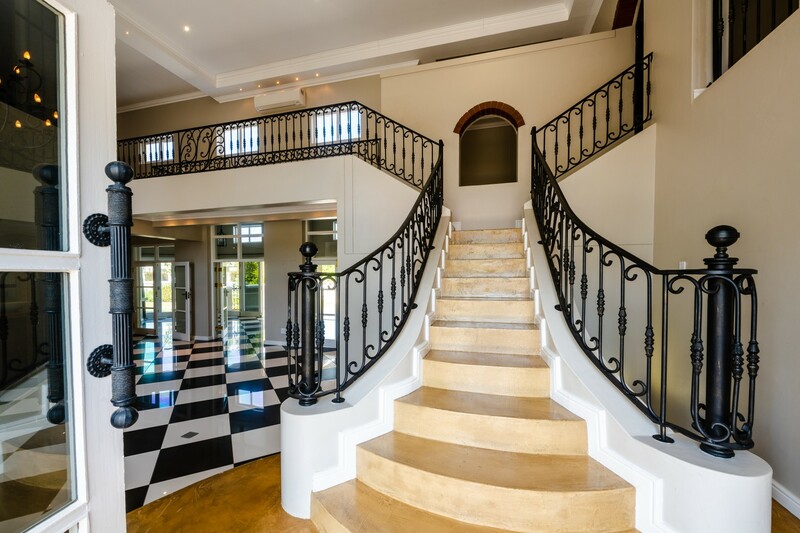 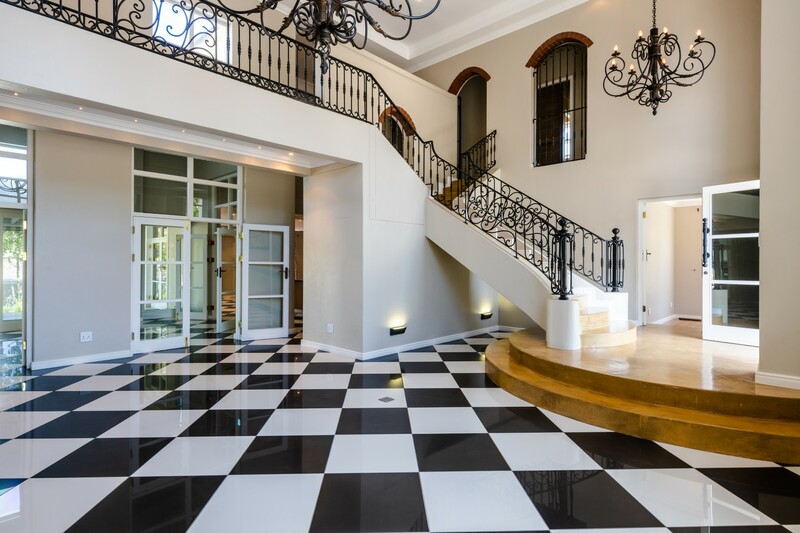 The featured staircase leading to the first floor offer three bedrooms with two bedrooms sharing a full bathroom. 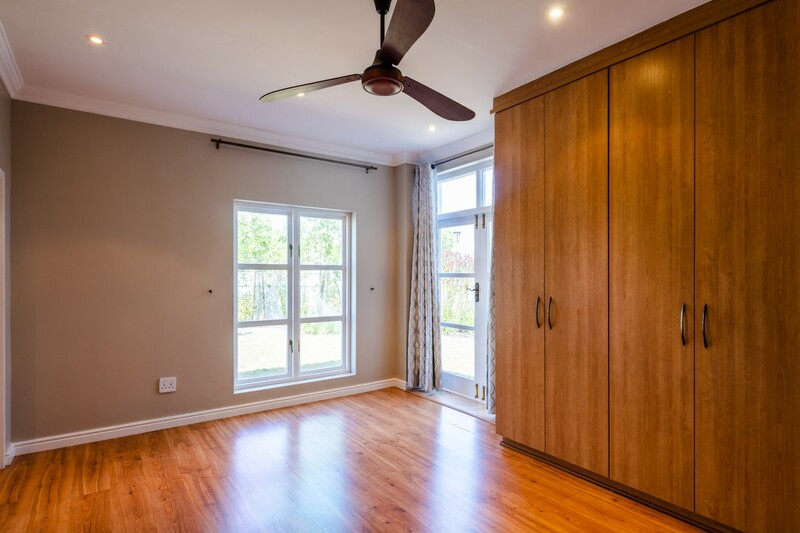 The separate main en-suite is completed with a large open plan dressing room with ample cupboard space. 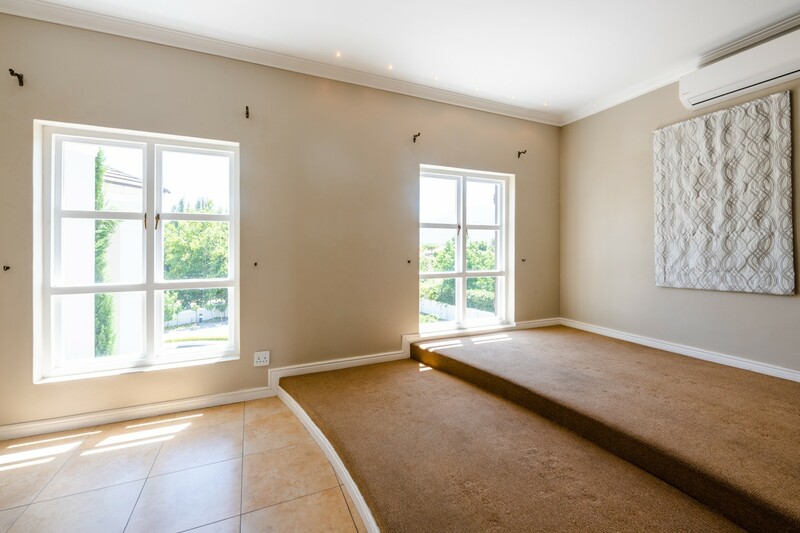 On the upstairs landing there is also a study niche as well as a fully kitted out cinema room. 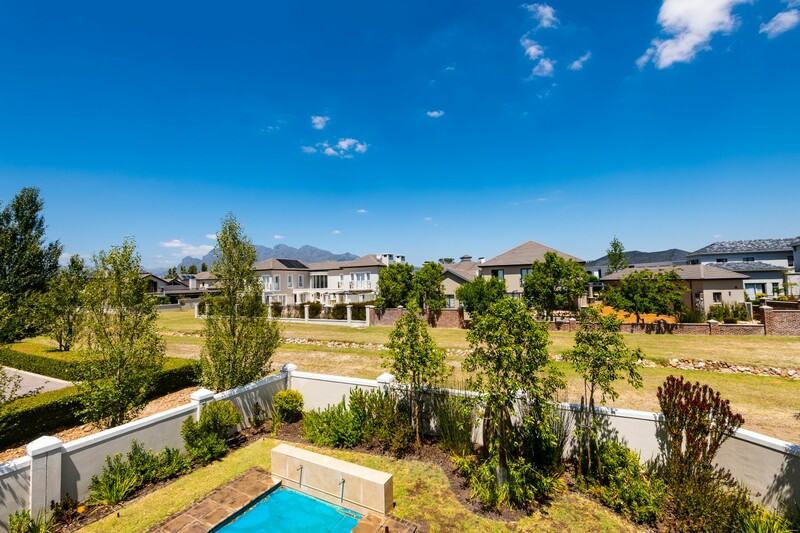 The garden area and swimming pool overlook a prime open green belt space surrounded by lovely mountain views. 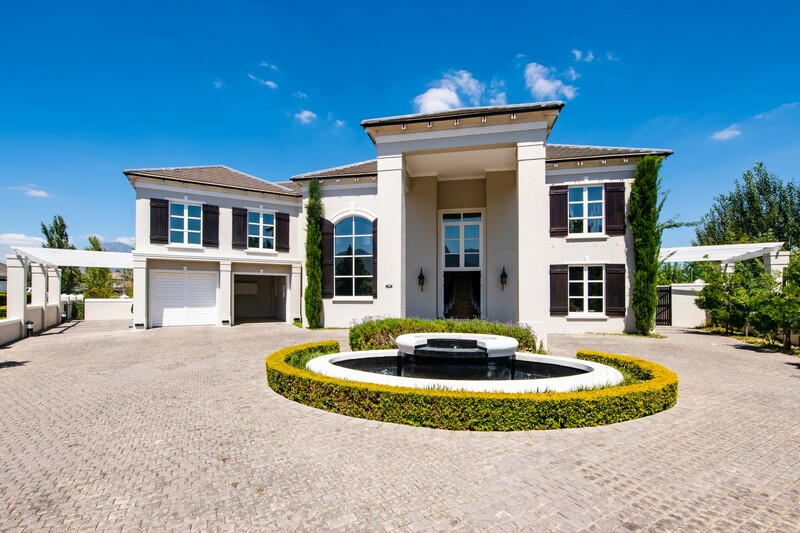 An added feature is the large circular driveway with adequate parking space and a double garage.